c2mtech, a phone, networking and IT consulting company to businesses in Texas, announced today a partnership with Mitel, a global provider of internet powered phone hardware and software. c2mtech joins a select group of Mitel Authorized Partners that support companies throughout Texas. Based in Dallas, c2mtech has additional branches and phone technicians in Fort Worth, Waco, Temple, Austin and Houston, TX. In addition to Mitel, c2mtech partners include Samsung, Toshiba and ESI Technologies for phone systems and Commscope and Hubbell for network/cabling. Mitel strategically selects partners based on revenue, growth and market focus through a rigorous qualification process. 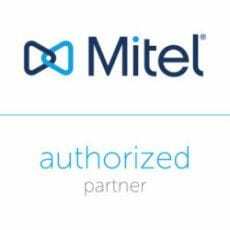 As an authorized partner, c2mtech designed Mitel solutions are covered by an extensive warranty and include exclusive pricing. Technicians are further trained and certified on Mitel installations, equipment and software. c2mtech installs, services and maintains business telephony, computer networks, data and voice over IP (VOIP), audio visual systems (AV) and security systems. c2mtech delivers truly integrated technology and communications solutions for clients in a variety of industries. Based in Dallas-Fort Worth, c2mtech is recognized by the Inc5000 and CRN Fast 150. Experiencing record growth each year, c2mtech has expanded to now serve small business, mid-market and enterprise clients in Dallas, Waco, Temple, Austin and Houston. Powering more than 2 billion connections every day, Mitel helps businesses connect, collaborate and take care of their customers. That includes more than 33 million cloud connections daily, making Mitel the world’s fastest growing provider of cloud communications. Our busines communications experts serve more than 60 million users with over 2500 channel partners in more than 100 countries. We have #1 market share in EMEA and have been identified by top industry analyst firms as a business communications leader. For more information, go to www.mitel.com and follow us on Twitter @Mitel.